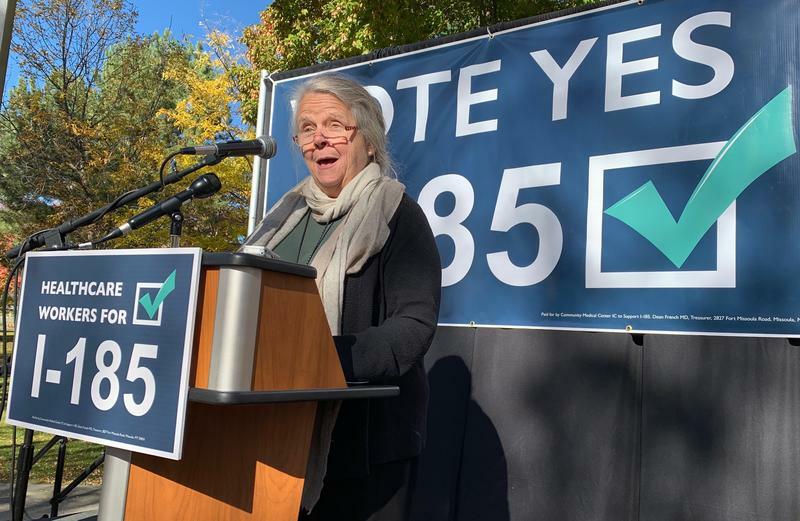 Dr. Pam Cutler, President of Western Montana Clinic, at Wednesday's rally in support of I-185. 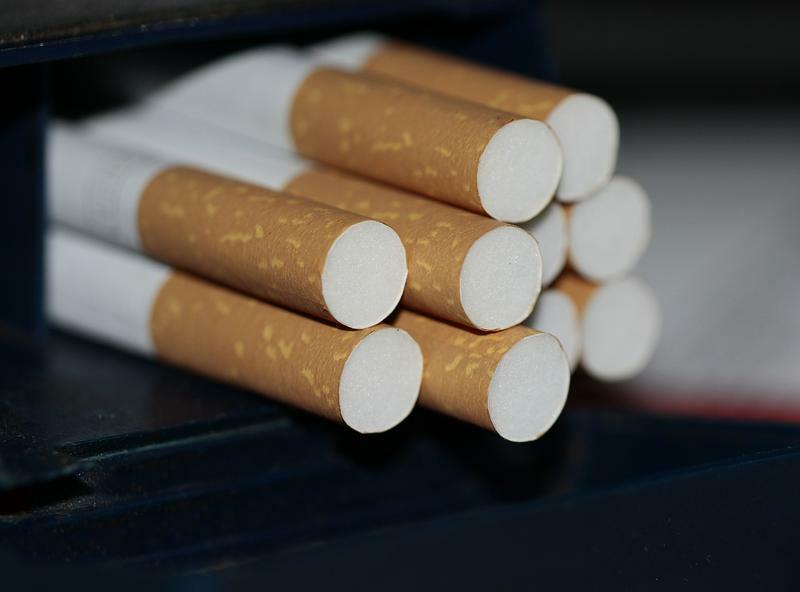 Together, groups promoting and opposing the tobacco tax have spent more than $17 million to influence the outcome of I-185. That initiative would raise the state’s tobacco taxes by $2 per pack and tax e-cigarettes and vaping products for the first time. 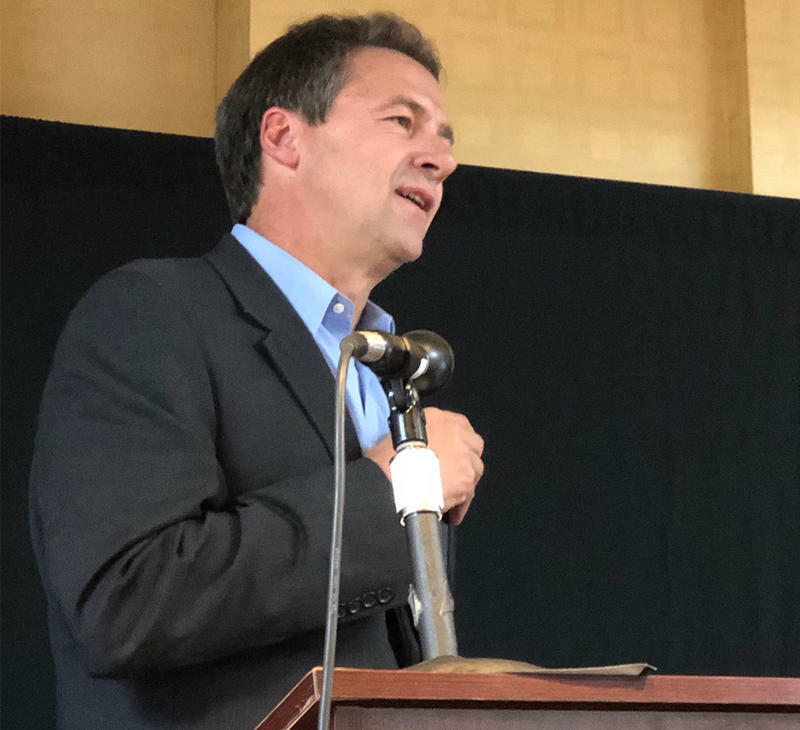 The initiative’s backers say that would cover the expense of Montana’s Medicaid Expansion program, which state legislators could allow to expire next year. About 100 health care professionals rallied for the initiative Wednesday at Missoula’s Community Health Center. Dr. Pam Cutler, president of Western Montana Clinic, says the tobacco industry is pulling out all the stops to defeat the measure. The Associated Press says ‘Montanans Against Tax Hikes’ spent an average of $895,000 a week in September and the beginning of October advertising against the initiative. By comparison, Montana’s hospitals and health groups including the American Cancer Society, Planned Parenthood of Montana and the Service Employees International Union 775 have spent an average of $405,000 a week on ads, for a total of almost $5 million. Dr. Carter Beck says he supports I-185. Montana Gov. 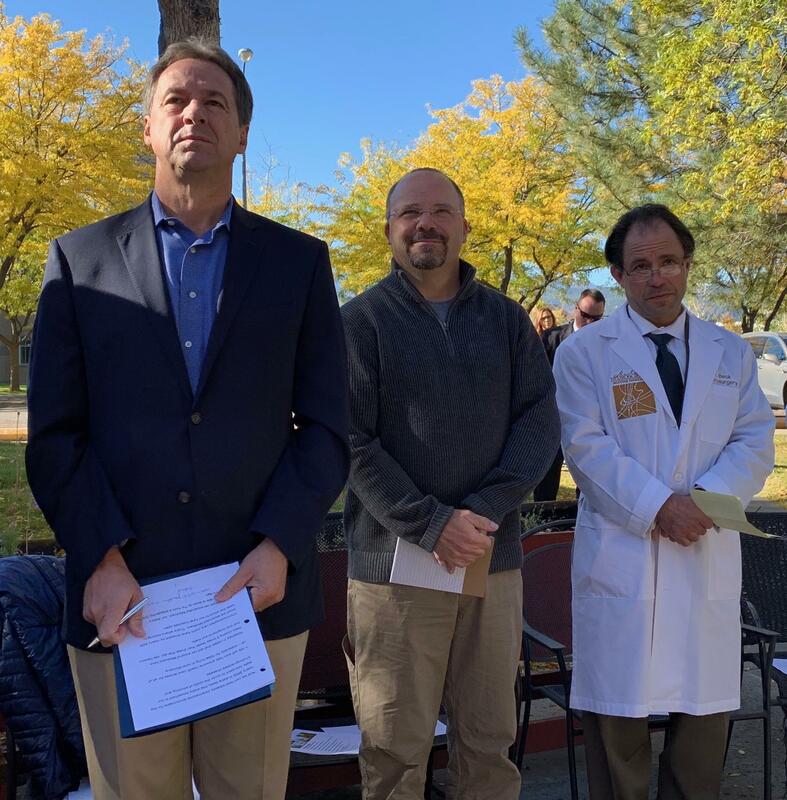 Steve Bullock (left), Mark Mentel, Vice President of the Montana Medical Association and Carter Beck, a neurosurgeon, at Wednesday's rally. Beck, a neurosurgeon, describes himself as a libertarian who frequently votes Republican and actively campaigned against implementation of the Affordable Care Act. Montana hospitals are backing Medicaid expansion in part because the program has bolstered struggling rural hospitals, and led to an increase in profitability for others since it passed in 2015. As more Montanans have become insured, that means hospitals are giving away less healthcare for free.